Think Sunday, think outings, movies with friends, parties, trekking, sports, etc. Sunday is the day to refresh yourselves. Sunday is the day to prepare yourself for the next new week at office. Here is a beautiful happy sunday e-card to send to your friends and family and share your joy. 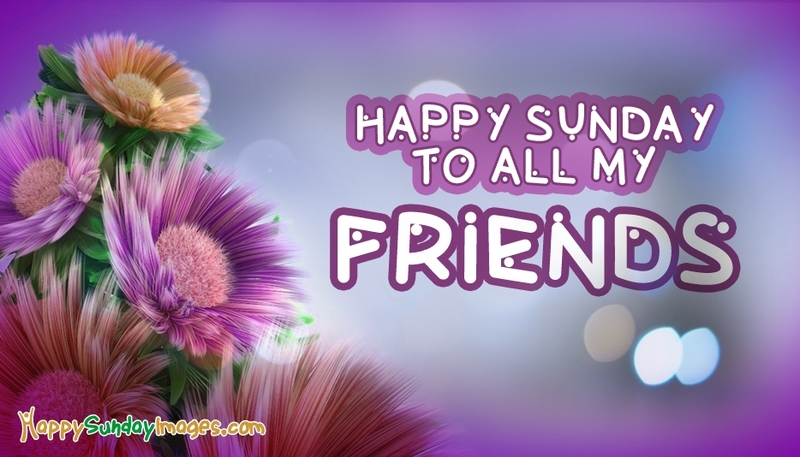 The e-card holds the words "Happy Sunday to all my friends" with a beautiful background of flowers.